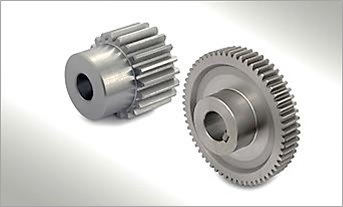 Spur gears are designed to transfer motion or power between parallel shafts. 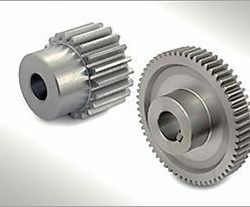 Variations include rack, pinion, and internal, all available with a variety of hub, bore, and keyway options. 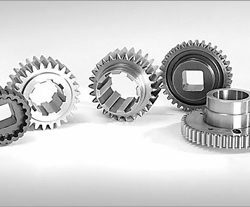 REMPCO spur gears are manufactured to achieve improved accuracy, smoother operation, and higher efficiency than comparable cast tooth gears. 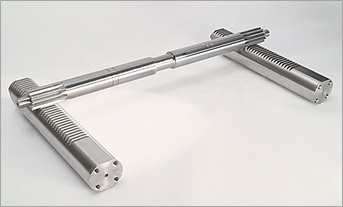 We produce plain, webbed and spoked types as well as a variety of custom configurations. 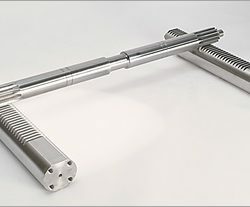 Standard material offerings include certified grades of brass, carbon and alloy steel, stainless steel, and cast iron. Hardening processes are available for high-strength and high-wear applications. Our sales team is available to discuss your specific application. REMPCO specializes in custom solutions when you need replacement parts for your industrial machinery. 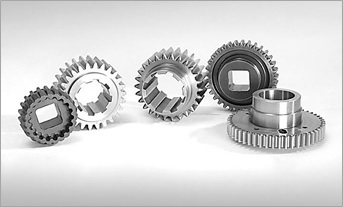 Whether you need spur gears or any other types of gears, call us or send in your drawings, sketches, or sample parts to receive a customized quotation.